Today, February 12, we celebrate the second National Fish Soup Day. The theme day of fish food was held for the first time last year. The purpose of the Fish Soup Day is to inspire people to taste delicious and healthy fish cookings. It is easy to make a tasty fish soup for whole family. You can use different fish species for soup and vary ingredients and spices as you wish. This year the Fish Soup Day is celebrated within the theme ”Fish soup from every kitchen”. 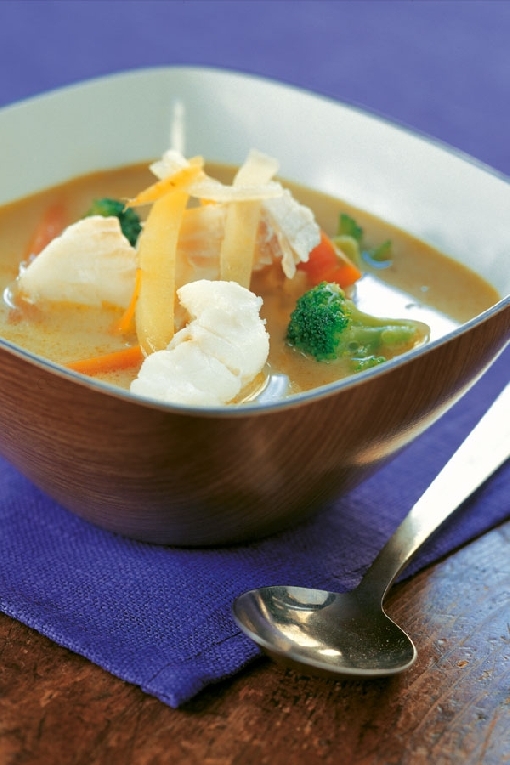 There are multiple ways to cook and flavour fish soup. It is interesting to try different spices and ingredients in soup. Fish soup is one of the most popular dishes in Finnish kitchens. Steaming hot plate full of soup made of pike, vendace, burbot, red fleshed fish or some other species tastes absolutely delicious with rye bread! Fish contains many important nutrients, such as protein, vitamin D and polyunsaturated fatty acids. Your brain will love fish. A wide variety of fishing-related events are organised in different parts of Finland, allowing you to take part in exciting competitions, sample fish delicacies and check out the latest tackle innovations. 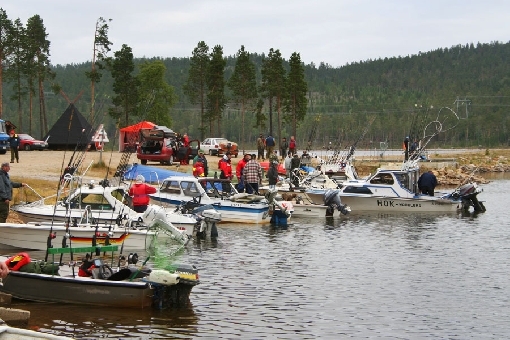 Finns are a competitive race and fishing competitions have long traditions. Competitions are organised around the themes of ice-fishing, angling, trolling, spinning and crayfishing. Ice-fishing competitions attract the highest number of people; numbers of participants in the largest competitions run into thousands. Especially popular summer events are the hundreds of trolling competitions, the largest and most well-known of which is the 24-hour rowing marathon, the Puruvesi Salmon Championships, organised in Kesälahti. The River Teno Salmon Championship is resolved by trolling a big salmon from this majestic stream of Upper Lapland. 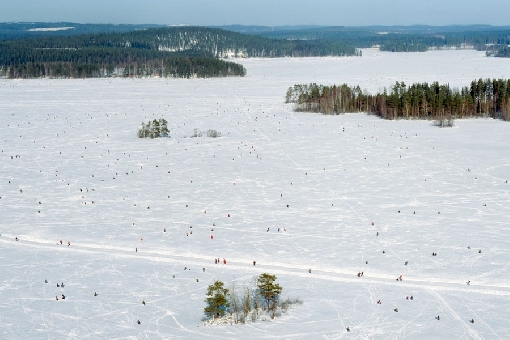 Ice-fishing enthusiasts spread out on the ice like ants during the Lake Kallavesi Finnish Championships. The European Championships in salmon trolling, held on the Gulf of Finland, bring plenty of participants and spectators to Helsinki. 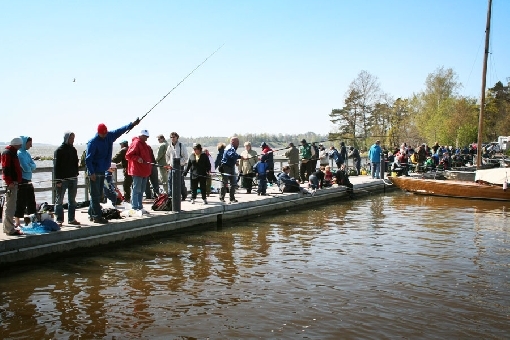 Every year, Lake Oulujärvi hosts the European Championships in pike trolling, while the World Championships in zander trolling, known as Rönnin Veto, take place on Lake Längelmävesi. The solemn names of events, such as ‘World Championships', demonstrate Finnish anglers' ardent zeal – and sometimes quite considerable fanaticism – about their pastime. Many competitions are open to all interested participants. A trolling competition on Lake Rahajärvi, Inari. About 50 fish fair events are organised every year, offering a diverse range of delicious fish dishes to be enjoyed on the spot, fresh fish and various preserved fish products, accompanied by plenty of additional entertainment. The largest events are the Helsinki and Turku Baltic Herring Fairs organised every autumn and the Tampere Fish Fair, held every spring and autumn. 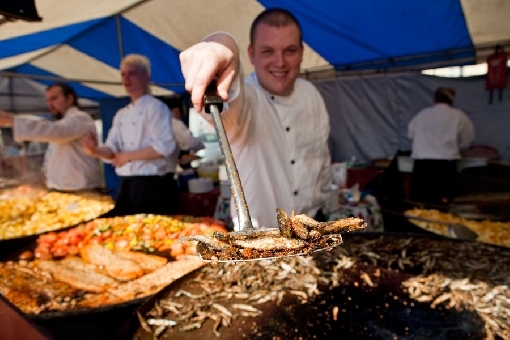 Fish fairs offer fried vendace and many other fish delicacies. Tampere Fish Fair. 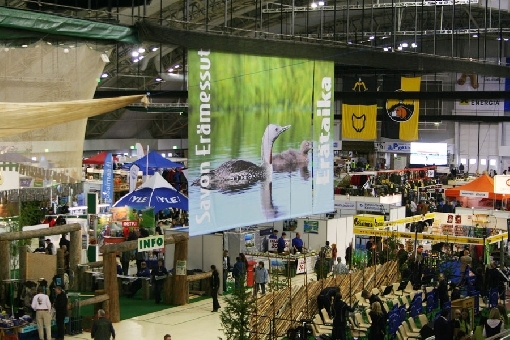 Fishing and nature enthusiasts gather at hunting and fishing fairs, a few of which are organised every year. The most well-known events are the Riihimäki International Sportsmen's Fair, the Northern Finland Outdoor Life Fair in Oulu and the Savo Wilderness Fair in Kuopio. The fairs present a diverse range of tackle, clothing and travel offering and, naturally, the latest product innovations. 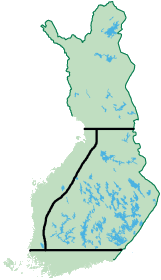 Kuopio hosts the Savo Wilderness Fair every other year.